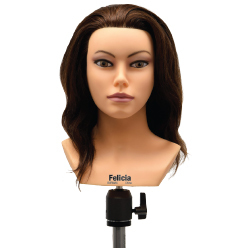 Manikin with 100% human hair. 17" – 19" brown hair with natural neck. Pierced ears.